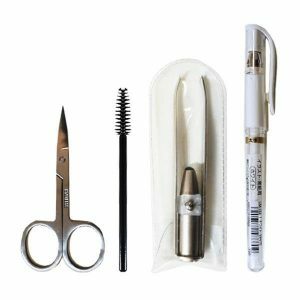 Everything you need to make your microblading journey a success. 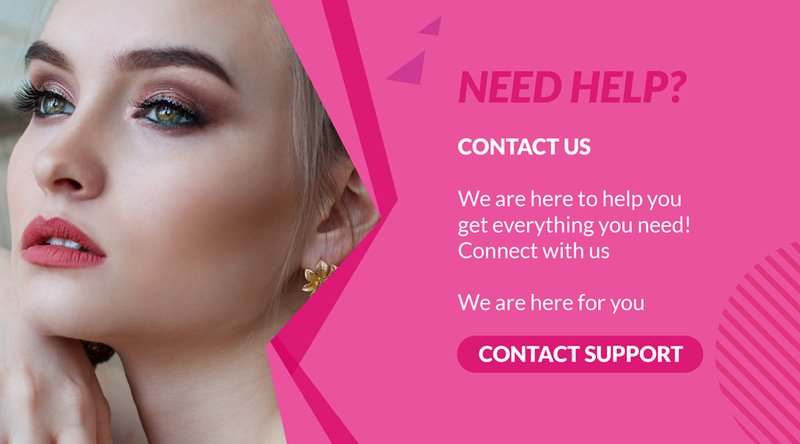 Organic Permanent Makeup offers a wide range of tools and technology that have proven to be safe and effective—that’s why our customers keep coming back! 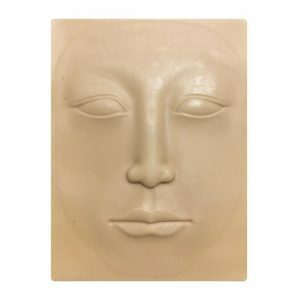 The practice skin is made from the advanced science and technology material, and manufacturing according to people’ skin. Its thickness and elasticity can control the depth of the needles stabbing into it, and at the same time can make the beginners find their mistakes easily and correct them in time so as to improve the beginners’ operating skills. 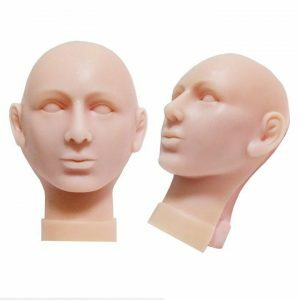 Imitating human facial feature, feels like real skin, for advanced level or professional training purpose. Thick quality Permanent Makeup practice skin, just like the real thing. 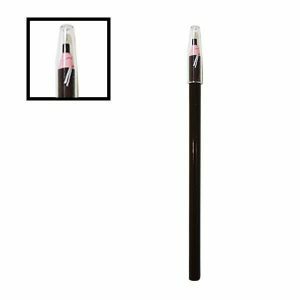 Holds the pigments/colors well and a great way to practice your full Lips, eyebrows, and eyeliner skills. Thick quality Permanent Makeup practice skin, just like the real thing. Holds the pigments/colors well and a great way to practice your eyebrow and eyeliner skills. Thick quality Permanent Makeup practice skin, just like the real thing. Holds the pigments/colors well and a great way to practice your lip skills. Thick quality Permanent Makeup practice skin, just like the real thing. Holds the pigments/colors well and a great way to practice your full Lips skills. Thick quality Permanent Makeup practice skin, just like the real thing. Holds the pigments/colors well and a great way to practice your lip & eyebrow skills. 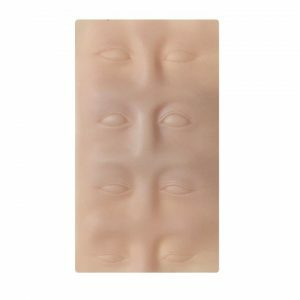 Thick quality Permanent Makeup practice vinyl skin, just like the real thing. Holds the pigments/colors well and a great way to practice your skills. 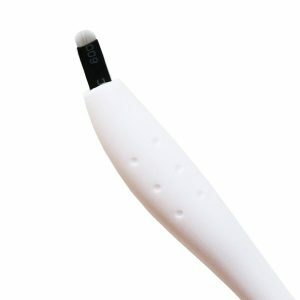 The skin pencil is an ideal tool to place markings on a human body. Because of the visual support, it is easy for the patient to understand the changes that are made. The pencil markings can be washed off, this makes it easy to remove the pencil markings of the body. 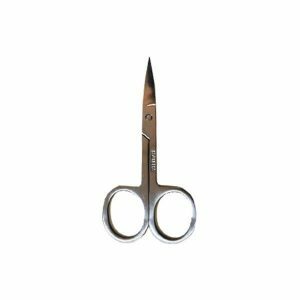 Nickel Plated Multipurpose Scissors cut right to the point! These extra sharp, curved blades fit the area around the nail perfectly. Often used during manicures, eyebrows, removing hair, or pedicures. The skin pencil is an ideal tool to place markings on a human body. Because of the visual support, it is easy for the patient to understand the changes that are made. The pencil markings can be washed off, this makes it easy to remove the pencil markings of the body. 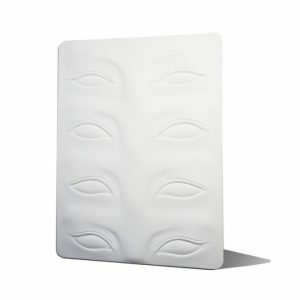 After cleansing forehead, then stick it on forehead to assist drawing balance and perfect eyebrows. When finish drawing, it can be simply peel off. 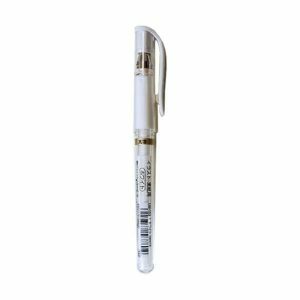 100% brand new and high qualityColor: WhiteWith smooth drawing lines, odorless and easy to applySuitable for skin: face & bodyLength: 15cm/5.91″The diameter of handle: 0.7cm/0.28″Diameter of writing: 0.8MM/0.03″Quantity: 1PC Note: Size for manual measurement, there may be a 0 to 2 cm error, belongs to the normal phenomenon. And due to the difference between different monitors, the picture may not reflect the actual color of the item. Thank you! Nab those hard-to-reach hairs with these lighted tweezers. These metal tweezers have a light attached at the base so light shines in the perfect spot, making unwanted hairs easy to find. The sturdy grip of these tweezers and the fine, pointed edge makes problem hairs easy to grip and remove. The light on these tweezers is button activated for long-lasting light at your direction. 1. Apply a small amount (a little goes a long way) of your favorite foundation, concealer, tinted moisturizer, contour cream or tanning lotion directly to your skin or onto the Silicone Sponge. 3. For a flawless finished look, finish blending with your favorite beauty brush or regular blender sponge. 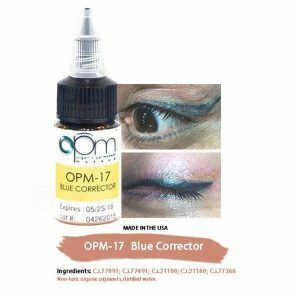 OPM-17 BLUE CORRECTOR: Color Corrector for all skin types. 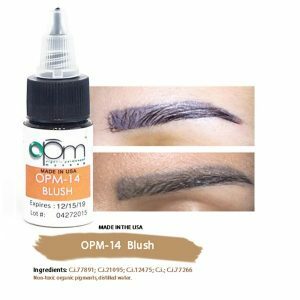 OPM-14 Blush: Organic mineral driven pigment for specific undertone skin type. 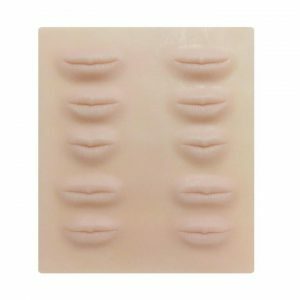 Blush for Skin type 1-5 lip color. 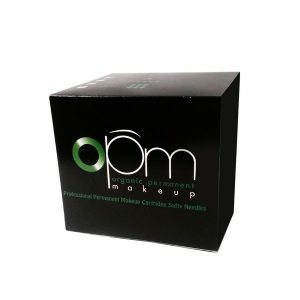 OPM-15 FLESH: Organic mineral driven pigment for specific undertone skin type. Flesh for Skin type 1-5 skin color. Sanitize the area that needs to be erased. Slight bleeding will show right depth in the skin. 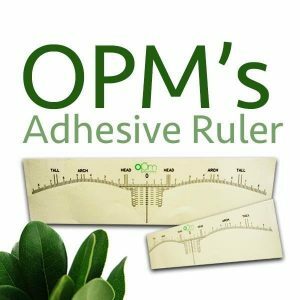 Go over the unwanted, old pigment with your needle #3 that contains OPM eraser. Wipe off the eraser once the skin blanches. 2 – 3 passes are advised. More passes required on very old, dark, and deep permanent makeup. HAND PIECE CHARACTERISTICS: State-of-the-art technology assures perfect pigment implantation and consistently professional results. 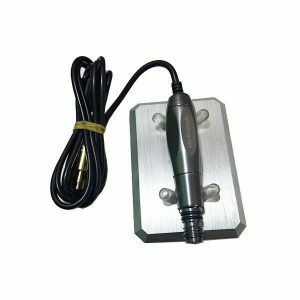 Featuring needle-depth adjustment, rapid needle change and quick and easy needle disposal, the hand piece is constructed from die cast aluminum making it lightweight and easy to clean. 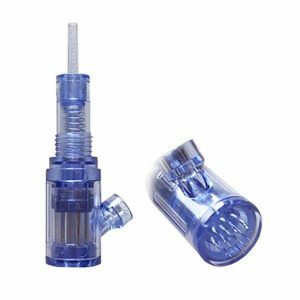 It’s engineered to house disposable needle cartridges, which have an integrated membrane preventing backflow of body fluids and airborne contaminants entering the hand piece – eliminating the possibility of cross-contamination. Made for curving and precision pointing. Each needle has an appropriate diameter for it’s sole purpose and are made to perform with great accuracy. This pigment cup ring is designed to improve your workflow. Wear your pigments at your disposal on your finger. 25 pcs. The perfect go-to needle for any design. The unique pointed tip is crafted for micro-precision strokes that heal true to placement. TMS NEEDLES Introduction Scalp Micropigmentation (medical hairline tattoo) is the ultimate in non-surgical male and female scalp grooming; an incredible life-changing treatment where natural pigments are applied at the epidermal level of the scalp to replicate the natural appearance of real hair follicles or strands – depending on your hair loss extent, and desired look. Micro needling is the latest skin therapy system. It works on many common skin issues, because it effectively tackles the root cause of skin problems–lack of collagen. Young and healthy skin is invariably free of any blemishes wrinkles or marks. 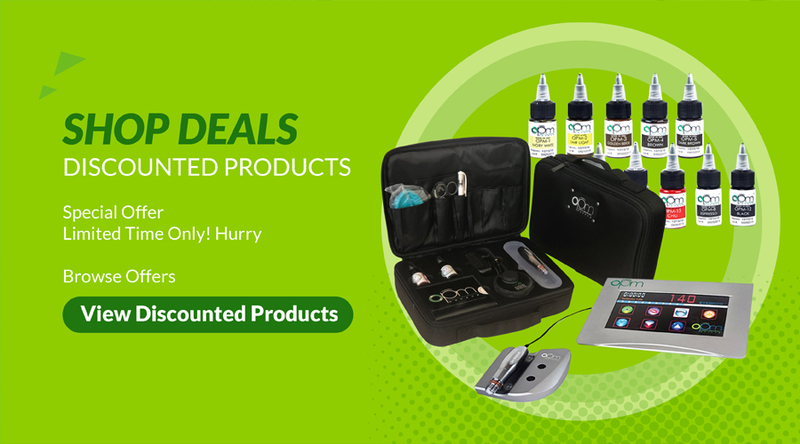 Since the micro needles work to increase collagen levels, it effectively helps your body create new, young, and perfect skin without damaging your body and without unnecessary and expensive treatments. It can treat wrinkles, acne, scars, and burn scars. A person’s skin complexion is one of the first things we notice. Now you can offer a better treatment with this new device. 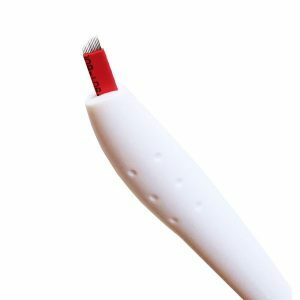 This auto derma needle stamp uses multiple needles that vertically pierce the skin, which enhances rejuvenation and is safe for users, because there is less epidermal damage. 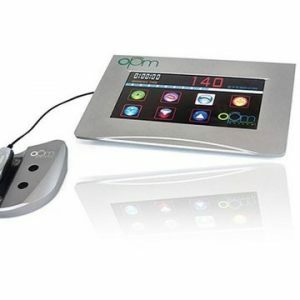 The automatic vibrating function increases the effectiveness of treatment by increasing absorption of products, while reducing pain and discomfort. Scalp Micropigmentation (medical hairline tattoo) is the ultimate in non-surgical male and female scalp grooming; an incredible life-changing treatment where natural pigments are applied at the epidermal level of the scalp to replicate the natural appearance of real hair follicles or strands – depending on your hair loss extent, and desired look. 4 POINT FLAT NEEDLE CHARACTERISTICS: 4F The 4 Point Flat has four needles grouped together in a line formation similar to the prongs of a fork. It can be used to create hair strokes and to shade in large areas. Save $3 on each needle when you buy a full box of 25 Needles for $175 versus $250 at full price. NEEDLE CHARACTERISTIC: 3RL The 3 Point Liner is a combination of three needles grouped together in a loose circular formation.It is designed for creating defined, precise lines and for ‘filling in’ small areas. Save $2 on each needle when you buy a full box of 25 Needles for $125 versus $175 at full price. Apply for 15 minutes with a Q-tip before the procedure. 1.) Use during the procedure, after each pass. 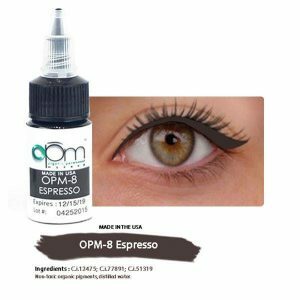 OPM-8 Espresso: Organic mineral driven pigment for specific undertone skintype. Espresso for skintype 1-5 eye color. OPM-13 Chili: Organic mineral driven pigment for specific undertone skin type. Chili for Skin type 1-5 lip color. 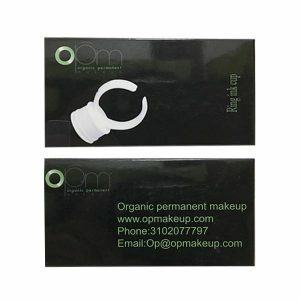 OPM-1 Ivory White: Organic mineral driven pigment for specific undertone skin type. 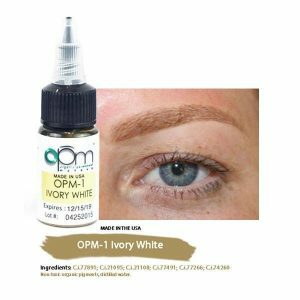 Ivory White for Skin type 1 Eyebrow color. Cool base pigment, Neutralizes red tones under the skin. 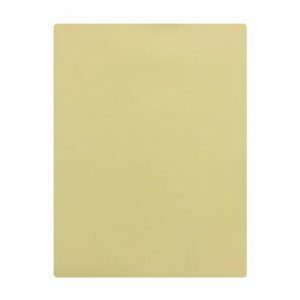 The lightest OPM color available, Pale skin, blond/red hair, light lashes, blue eyes, freckles. OPM has invented the next generation of organic-derived pigments and state-of-the-art permanent makeup machines. Our organic pigments are natural, safe, and reliable. 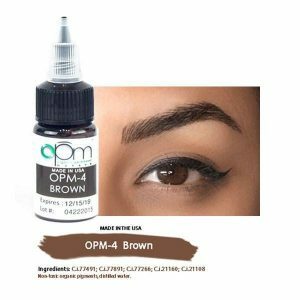 OPM-4 Brown: Organic mineral driven pigment for specific undertone skin type. Brown for Skin type 4 Eyebrow color. Ash brown base, can be used on all skin tone. However, mostly used on Asian, Latino and/or olive skin. 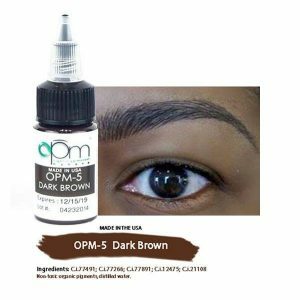 Organic Permanent Makeup (OPM) offers a wide variety of microblading services. We provide permanent makeup solutions for a client’s eyebrows, eyelashes, lips, scalp, and even breasts. We even correct and remove unwanted tattoos and failed attempts at permanent makeup. 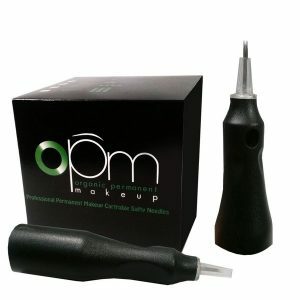 The number of procedures we are able to administer is a testament to our commitment to organic and permanent beauty; we wouldn’t be confident enough to offer these services if we didn’t 100% trust our products, tools, and staff—and our clients wouldn’t keep returning to OPM if they didn’t agree. The 3D eyebrow microblading procedure is OPM’s contribution to the ever-growing eyebrow trend across the globe. Microblading artists are trained to identify the appropriate eyebrow shape and color for the client and to draw fine lines that blend naturally with eyebrows of all shapes and sizes. 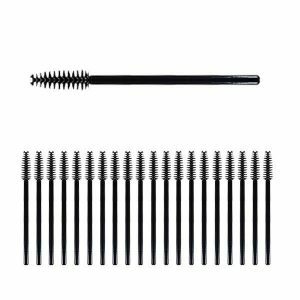 Eyelash enhancements are a permanent substitute to eyeliner and even mascara, giving the face an overall brighter appearance, thanks to eyes that look opened up and ready to face the world. OPM lip contouring is a non-surgical procedure that beats the popular lip fillers by miles. Contouring gives clients the option to shape their lips however they want; not just make them seem bigger. 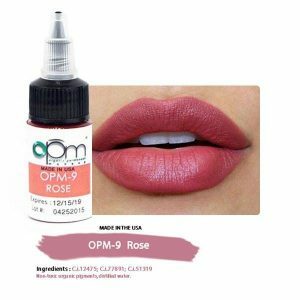 This service also acts as a permanent lip tint, lending clients a flush to their lips without the need for their tiresome, daily makeup routines. Scalp micropigmentation gives clients denser-looking hair, effectively solving the problem of baldness, thinning hair, and receding hairlines. Lasting up to five years, scalp micropigmentation allows for anyone to have the beautiful crowning glory they deserve. 3D areola restoration is for women who underwent mastectomies or other breast surgeries; we return their breasts to their natural look. The paramedical procedure is also offered for free to cancer survivors as a way for OPM to give back to the community. Tattoo correction and removal at OPM has no need for lasers. This all-natural procedure is done with the OPM Eraser and needs only thirty minutes of a client’s time to perform. 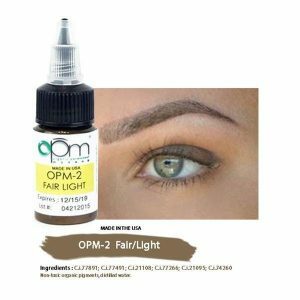 OPM can correct and improve permanent makeup disasters; we believe no one should be discouraged from chasing the look they love with mistakes that can be easily reversed. OPM’s dedication to its microblading services is evident in the very pigments it uses. All-natural and organic, OPM pigments are safe because they have no recorded side effects and are compatible with all skin types. These pigments are food-dye-based and are easily absorbed by the skin. 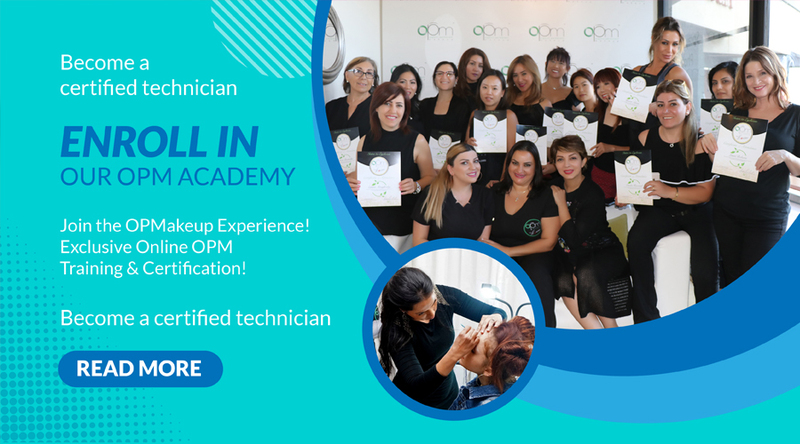 They’re also not only utilized in our top-notch microblading services to effectively mimic hair and skin; but they also last as long as five years, cementing OPM’s status as a leading permanent makeup provider in the United States. 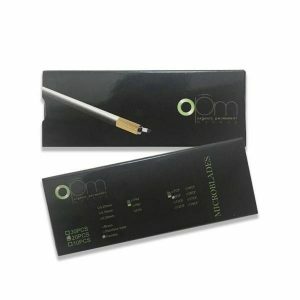 The tools used in OPM’s microblading services are second to none; in fact, OPM created its very own permanent makeup machine, making the company a pioneer in the beauty industry. The OPM Machine is the least invasive permanent makeup machine in existence, cutting down operation time by as much as half. Penetrating only the superficial layer of the skin, the state-of-the-art machine promises none of the usual pitfalls of microblading services. OPM guarantees that there will be no skin trauma, bleeding, and bruising after your microblading procedure.